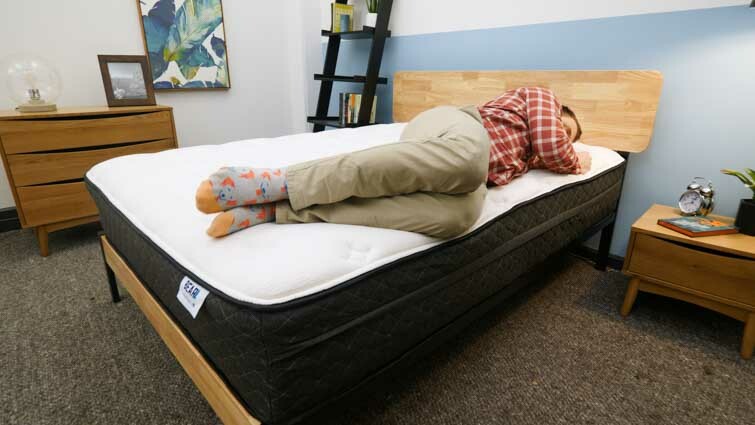 The Bear Hybrid mattress is designed with athletic sleepers in mind, employing a construction of gentle foams, pocketed coils, and a special Celliant-blended cover (more on that later) to actively relieve sore joints and muscles. While I’m certainly intrigued by these claims (a bed that can help me recover after leg day… yes, please! ), I’m never one to let a mattress get by on hype alone. So join me as I test this bad boy out for myself, to figure out not only how it sleeps and feels, but whether it could be the 100% right bed for you. Read on for my full review of the Bear Hybrid mattress! Only got a minute? Skip on over to my review summary. Save $225 on your order! Specifically designed for athletes, the Bear Hybrid is a great supportive option for active sleepers. Enjoy $225 off your purchase with code SLEEPOPOLIS225. Bear launched in 2015 on a mission to help active folks sleep better. With a team of sponsored athletes, medical doctors, and general fitness enthusiasts, the company has carved out a unique space in the bed-in-a-box sphere by marketing its mattresses as tools for post-workout recovery. In addition to the Bear Hybrid, Bear also sells a namesake, all-foam model as well as adjustable bases, pillows, and sheets. 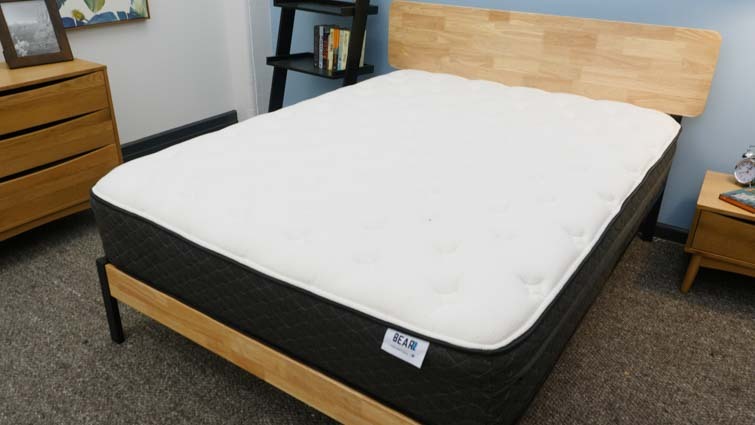 We won’t be going into these products in this review, but we will be taking some time later on to compare the Bear Hybrid to its stiffest competition in the space, namely the DreamCloud and Helix mattresses. But before we do any of that, we’ve got to take a peek underneath the covers and see what’s going on in the Bear Hybrid’s construction. What is the Bear Hybrid Made of? The Bear Hybrid stands at an impressive 14” tall and is composed of four layers of foam and pocketed coils. This combination of materials is intended to create a satisfying balance between pressure relief and support, allowing for both optimized mobility and cushiony comfort. Cover – The cover is soft and built with Celliant, a material that some studies suggest could help with recovery while sleeping. This top layer is also quilted with hypersoft cooling gel foam, which imbues the mattress with a luxurious feel. Comfort Layer – Next up, you’ll find a thick section of Bear’s Premium Comfort Foam. The material has a memory foam feel to it, so has a slow response to pressure for deep body contouring and pressure relief. This layer could be especially beneficial for athletes as it’s designed to cushion sensitive spots along the body, including the shoulders and hips. Transition Layer – Below the performance foam, you’ll find a thin layer of responsive transition foam. 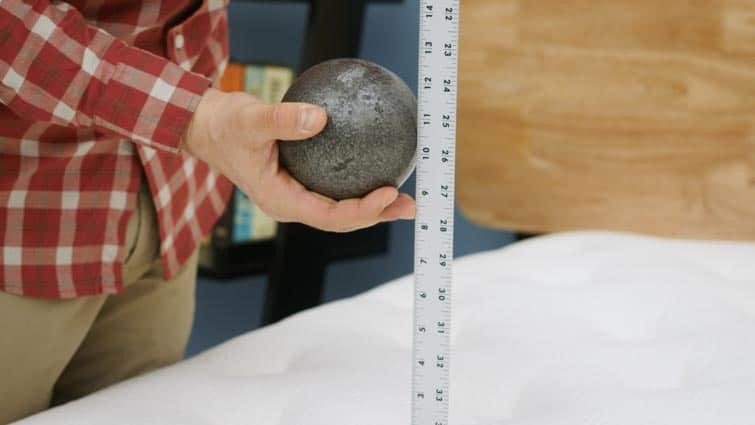 This material has a quicker response to pressure than the one above it and is used here to help gradually ease the sleeper into the firmer base below. Support Layer – We’ve now arrived at the bulk of the mattress, comprised of a tall section of pocketed coils. This layer is super bouncy and brings a ton of support to the overall structure, working to lift the sleeper up and out of the bed. I should also add that because the coils here are individually wrapped, they’re going to be better at isolating motion than traditional innerspring coils would be. Base Layer – The foundation of the Bear Hybrid is made up of a thin layer of high-density polyfoam. This section provides the bed with a bit of shape and cradles the pocketed coil system. How Firm is the Bear Hybrid? Now that we’ve got the construction specs out of the way, let’s get into how this bed feels, starting with its firmness. Pressing my hand into the Bear Hybrid, I’m struck by the cozy comfort of its quilted cover and memory foam top layer. I can feel my fingers sinking into these sections for some pleasant pressure relief and comfort. However, as I push in with more force, I start to interact with the lofty pocketed coil system, which is super bouncy and lifts me up and out of the structure. 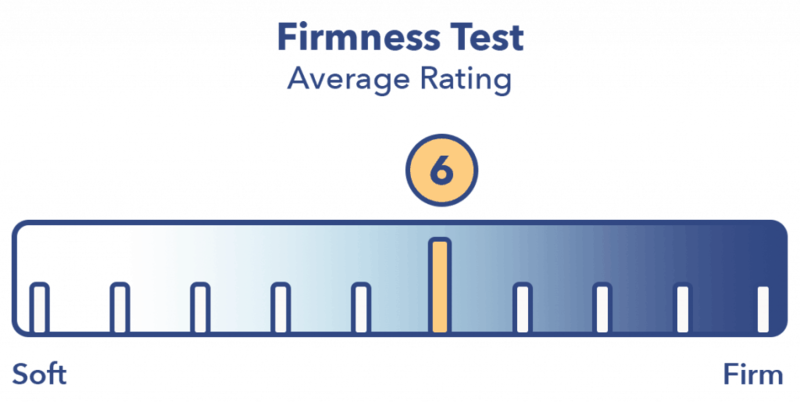 Before I hop on the mattress and see how the rest of my body reacts to it, I wanted to take a moment to talk about my process for testing out a bed’s firmness. I think it’s incredibly important to take into account not only my opinion, but the thoughts and reactions of other folks. Why? Because firmness is super subjective and I want to provide you all with a range of different experiences. The score on the graphic below, then, is a composite of my thoughts averaged out with those of three of my coworkers. My coworkers and I were pretty much in agreement about the firmness of the Bear Hybrid, landing on an average firmness rating of 6. 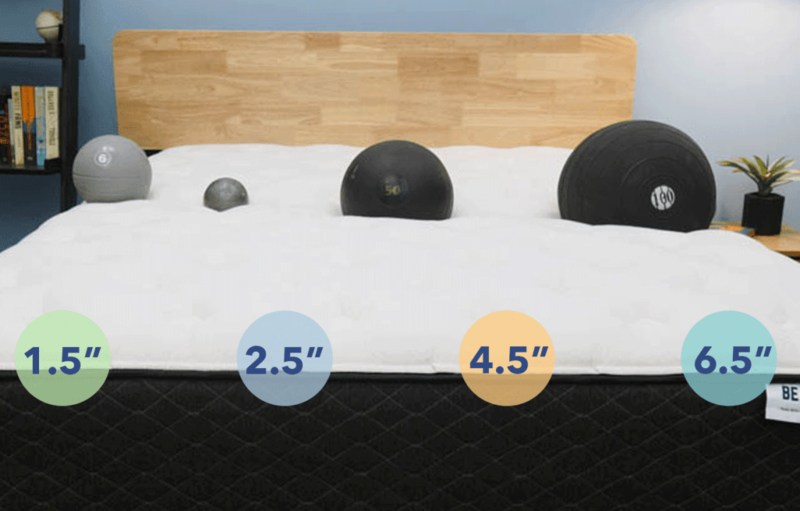 When compared to the industry standard of 6.5 for medium firmness, it’s clear that this bed is a touch softer than medium firm. I personally gave the bed a 6 as I found it to have a nice balance between pressure relief and support. While you’ll likely sink into the quilted cover and thick memory foam top layer for some subtle contouring at the shoulders and hips, the buoyant lift of the tall pocketed coil system is going to bolster this sinkage and keep you positioned more on top of the bed than in it. For this reason, I think this mattress could be great for side sleepers who switch between their side and back throughout the night — basically, you get the pressure-relieving benefits of memory foam without the stuck-in-the-bed feeling it can sometimes produce. The next step on our feel journey is to examine the Bear Hybrid’s capacity for pressure relief. 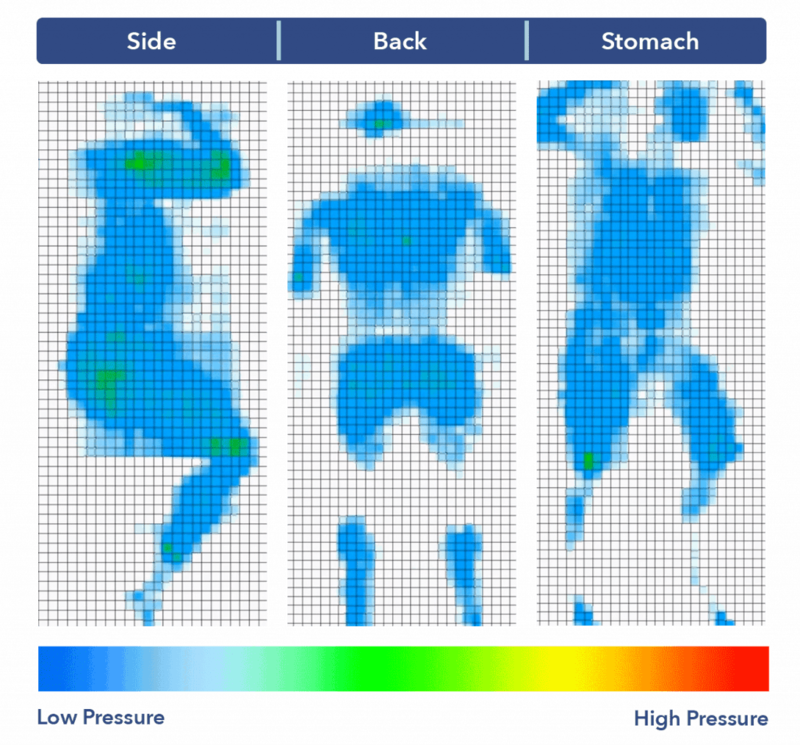 What this means is that I’ll be assessing its ability to alleviate tension at sensitive spots along the body, namely the hips, shoulders, and lower back. To do this, I’m going to stretch out on a pressure map, which will create a graphic of my body interacting with the mattress in real time. Blue areas indicate zones of relatively low pressure while red ones demonstrate high tension. Back – Lying on my back, my weight was evenly distributed across the surface of the mattress. After sinking into the quilted cover and memory foam top layer, I could feel the materials filling in the space at my lumbar region for some pleasant pressure relief. Though I did experience a bit of contouring here, I still found it easy to move around and change positions. Side – Turning onto my side, I was surprised by the amount of comfort I felt. I assumed the bouncy coils in the base would create some tension at my shoulders and hips, but I actually felt some pretty fantastic relief in those areas. The combination of gentle foam top layers and pocketed coils produced a balanced feel that I think could really work for side sleepers. Stomach – However, once I turned onto my stomach, this comfort dissipated somewhat. The gentle pressure relief that made side sleeping such a breeze caused my hips to sink out of alignment with my shoulders in this position. Strict stomach sleepers will therefore want to go with a firmer structure that’ll keep the spine in a nice, even line. Now that we’ve established a thorough understanding of the Bear Hybrid’s unique feel, let’s see how it stacks up against the competition. Below, I’m going to compare this mattress to two other popular brands in the space: DreamCloud and Helix. Like the Bear Hybrid, the DreamCloud is a bed-in-a-box hybrid that mixes pressure relief and support for an all-encompassing sleep experience. However, it has a thicker pillow top than the DreamCloud, which makes it even better for those in need of cushiony support at the shoulders and hips. Additionally, the bed features a layer of edge support, endearing it to couples or those who need to utilize the entire surface area of the bed. In terms of price, the DreamCloud is more expensive than the Bear Hybrid, costing $1,400 for a Queen as compared to the Bear’s $1,190. For more, check out my full DreamCloud review. Helix has several bed-in-a-box hybrids to its name, though either the Helix Midnight or Midnight Luxe is probably the most comparable to the Bear Hybrid. Though their feels are quite similar, I’d say the Helix beds are a touch firmer than the Bear Hybrid. Costwise, the Helix is the least expensive of the three, coming in at $920 for a Queen. Learn more at my full Helix mattress review. 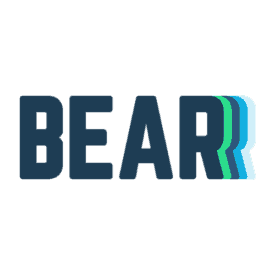 As I mentioned briefly up top, the Bear Hybrid isn’t the only mattress in the Bear collection — the company also sells an all-foam mattress aptly called the Bear. 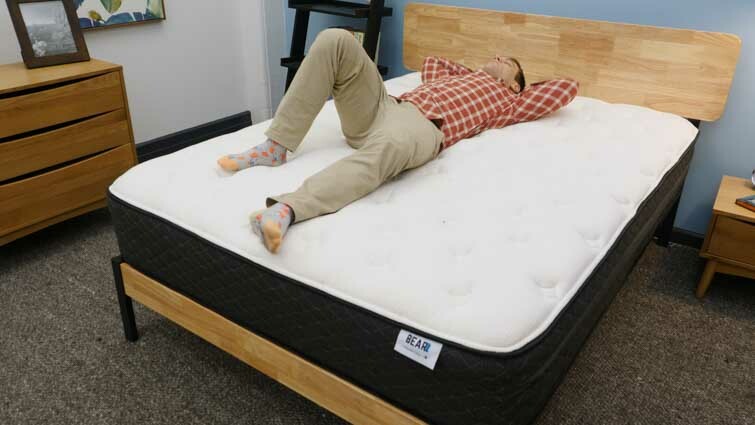 The Bear features three layer foam design of memory foam, latex, and high-density poly foam. 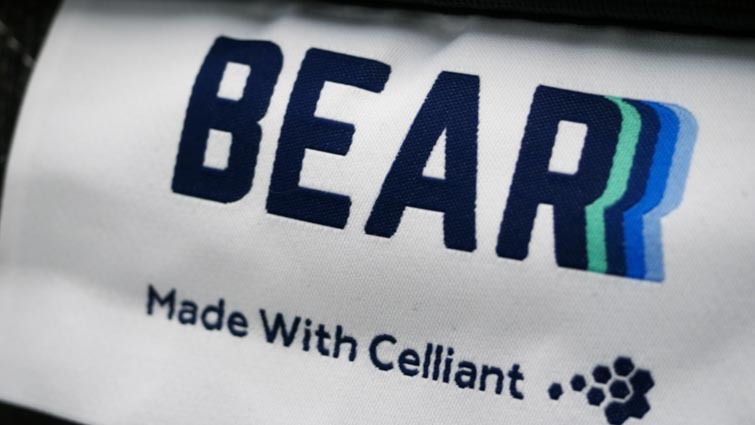 It’s also outfitted with the same Celliant cover we see in the Bear Hybrid. Despite this all-foam construction, the Bear is actually slightly firmer than the Bear Hybrid, marking it as a good fit for combo or back sleepers. At $840 for a Queen, it’s slightly less expensive than the Bear Hybrid. Intrigued? Hop on over to my full Bear mattress review. Competition aside, let’s get back to the Bear Hybrid with a motion transfer test. 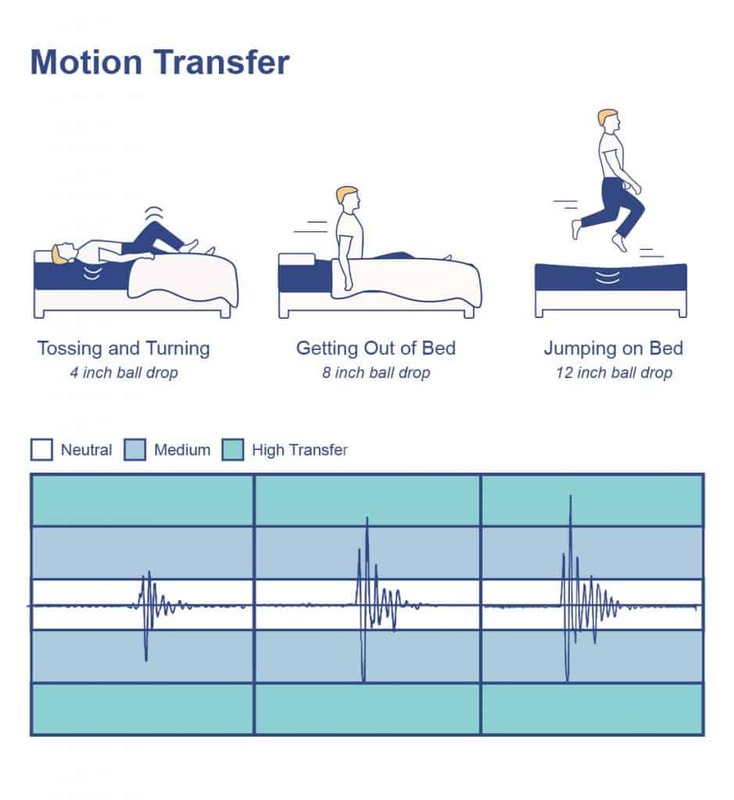 This will basically show me how much movement is detectable from one side of the mattress to the other, which could be an especially important piece of information for those of you who share your bed with a partner or pet. These are pretty solid results in my opinion, which tells me you shouldn’t be too bothered by nighttime movements. The memory foam comfort layer is doing a lot of the work here, dampening motion before it’s able to quake throughout the structure. While sudden jolts could cause disturbance issues, I think couples will be mostly satisfied with the bed’s motion transfer. Ah, finally, our last test, which is all about sinkage! In this section, you’ll get a better understanding of how far into the Bear Hybrid you’re likely to sink aka if you’ll be positioned more “on top” of the bed or “in” it. These are fairly high sinkage results! 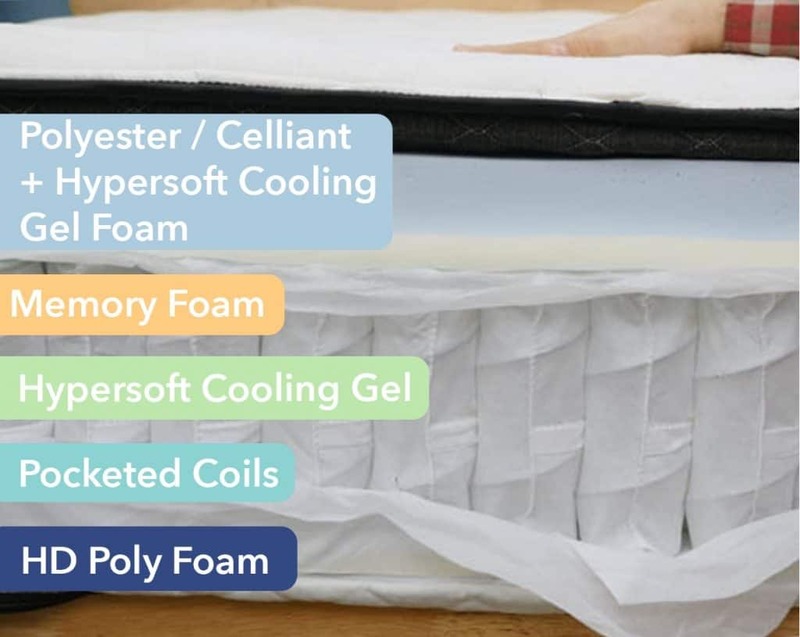 While the lift of the pocketed coil system is likely to leave you feeling more “on top” of the mattress than “in” it, it’s clear that the top layers of memory foam are going to provide you with plenty of pressure-relieving sinkage. This is a great combo for active sleepers who want to feel slightly hugged by their bed, but want to be able to spring up and out whenever they choose. Is the Bear Hybrid Mattress Right for You? A question as old as time, or at least as old as this review. Now that we’ve gone over all the finer points of the Bear Hybrid with a fine-tooth comb, it’s time to figure out if it’s the bed for you. While I can’t make that decision for you, I can provide you with a few final recommendations and complaints. With its pressure-relieving top layers and gentle coils, I think this bed could be a real slam dunk for side sleepers. I also think couples could find a lot to love in this mattress, considering how well it did on the motion transfer test. And finally, I’d recommend this mattress for active sleepers, who will likely benefit from the Celliant-blended cover, pressure-relieving memory foam, and supportive pocketed coils. Stomach sleepers may find the bed too soft as they’ll typically want a firmer feel for better spine alignment. The mattress may also be too soft for heavier folks, who need support to ensure they don’t sink straight through the structure.